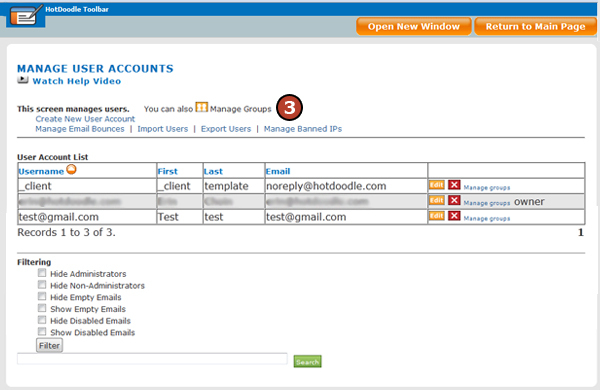 Before adding a user to a group, that user must register on the website or the website owner must create the user account. 4. 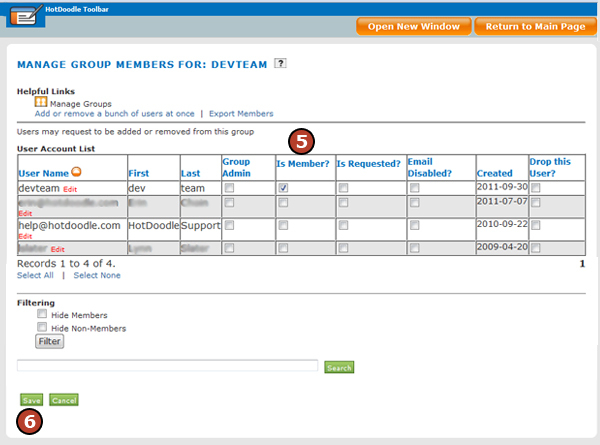 Click on the “Manage Members” link to the right of the group. 5. Click the checkbox under “Is Member” to add a user to the group. You can use the filtering checkboxes at the bottom of the page to view all members or non-members of the group or the search feature to locate a specific user. Is Member? 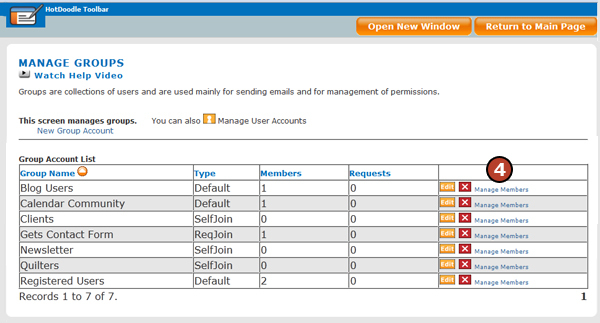 - If this checkbox is checked next to a user account, it means that individual user is a member of this group. Is Requested? - If membership in a group is configured to require users to request to join without automatic membership, this option will be checked for users that requested to join. A group admin will be required to add a check mark under "Is Member?" to remove the check mark under "Is Requested?". Email Disabled? - If this checkbox is checked next to a user account, it means the users does not receive email from the website because the ability to send them email has been disabled. Created - This field shows the date that the user was created in the website. Drop User? - If this box is checked, it removes the individual user from the website and the user will not be notified that their user account was deleted. Drop User is checked most often to delete spammers and hackers that may be creating fake users on your website.